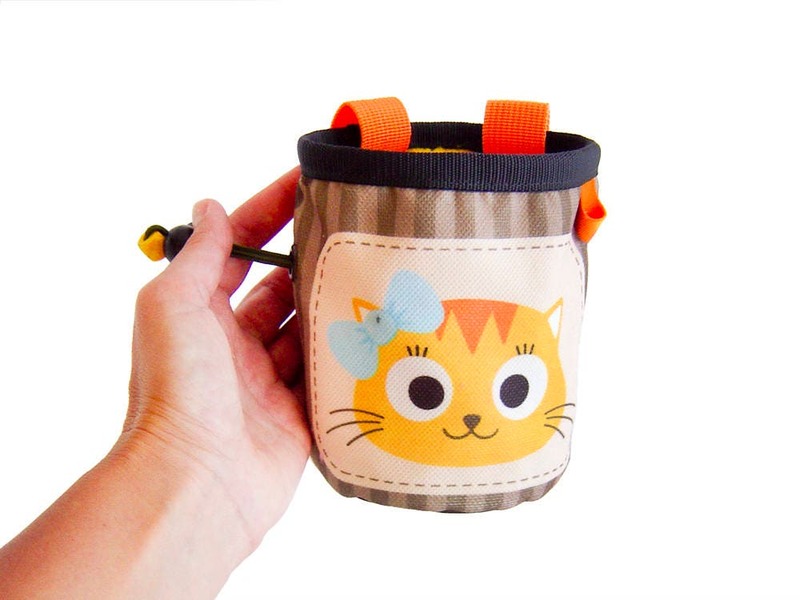 Handmade child chalk bag in with cats. 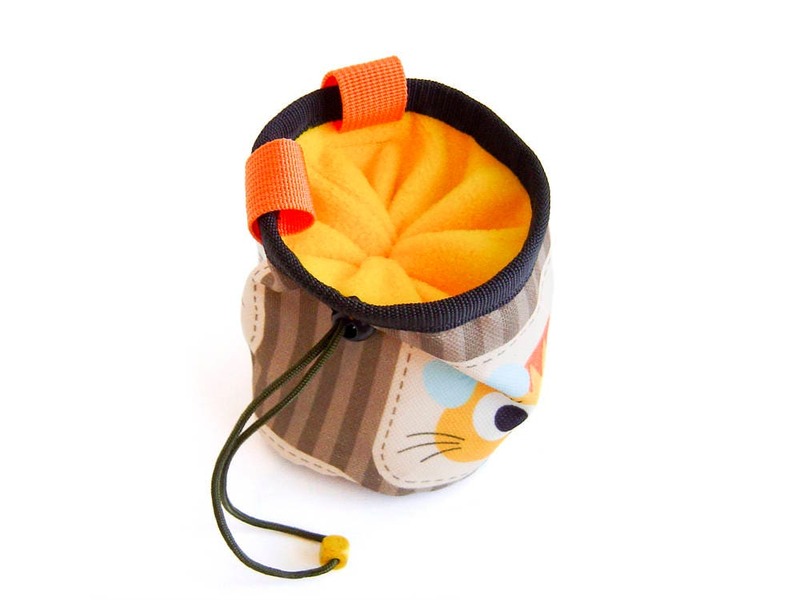 This children's chalk bag is unique in our "rock climbing for kids" chalkbags collection. 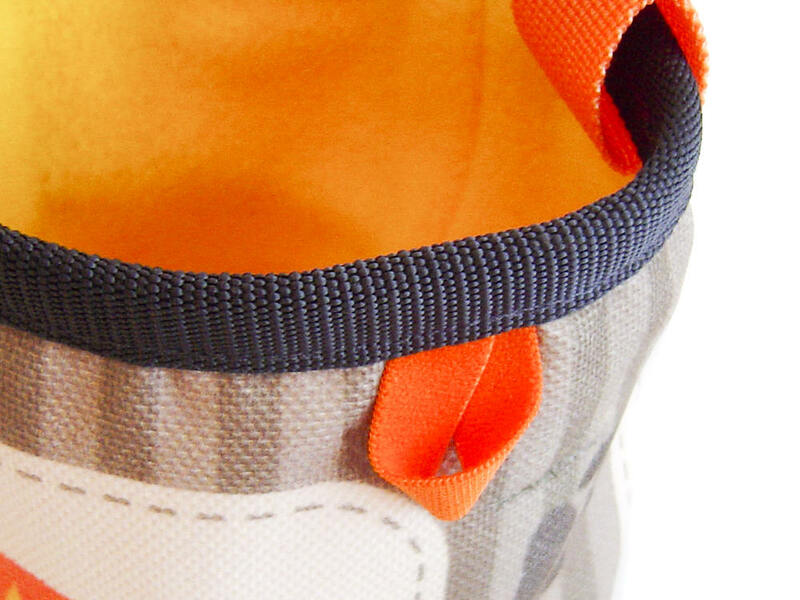 We sew the inner of high quality fleece in yellow and a membrane layer under it. Te bottom is super durable, sewn of black textile. 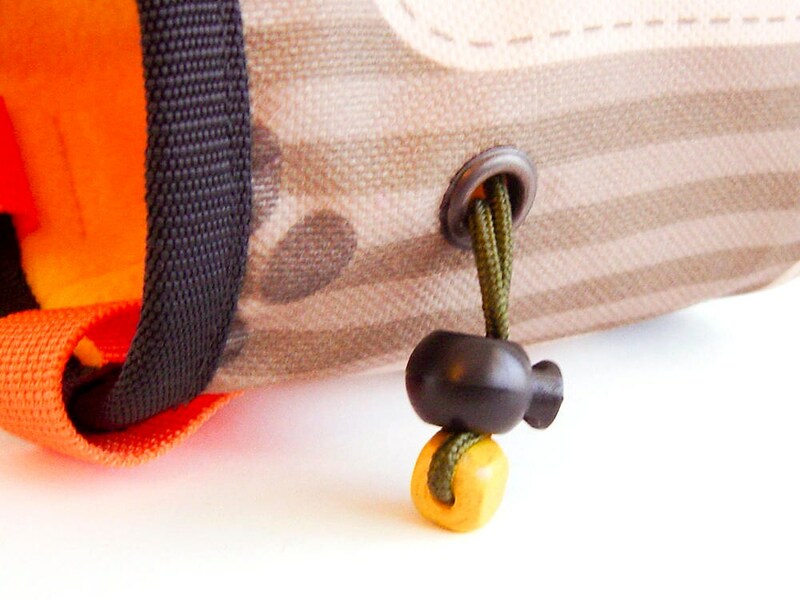 It closes very well with a parachute cord rope. 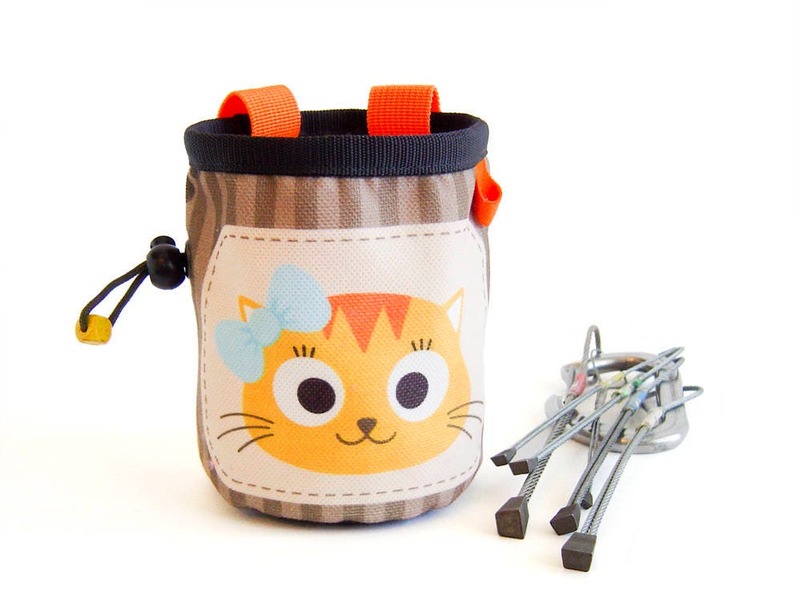 With 2 blue attaching loops, and elastic brush holder. 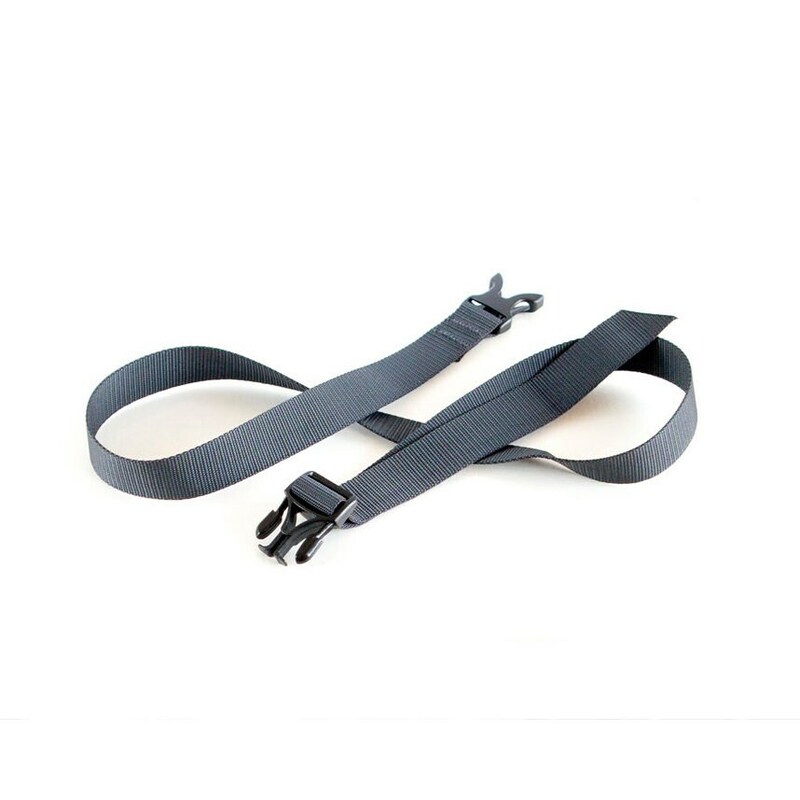 Very lightweight, and with nice protected upper rib. 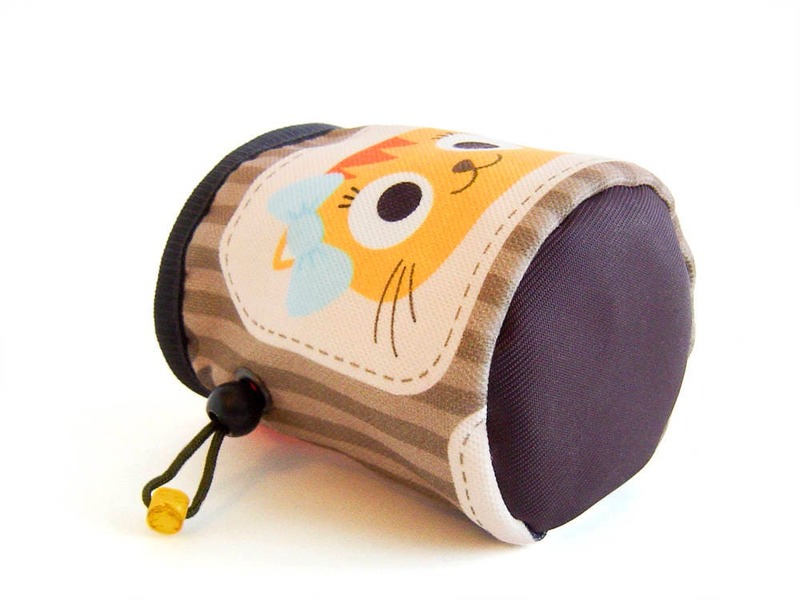 Size: S size (small) - it can be used of kids or girls also. Height - 13 cm (5 1/8"), the diameter is 10 cm (3 15/16"). Weight: 57 grams (2.01 oz). 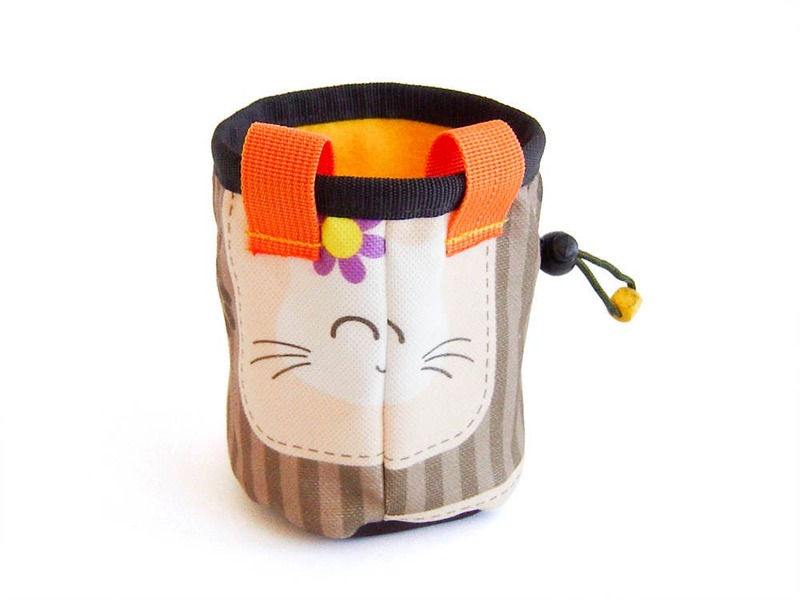 Kids will love climbing with this adorable child chalk bag with cats. 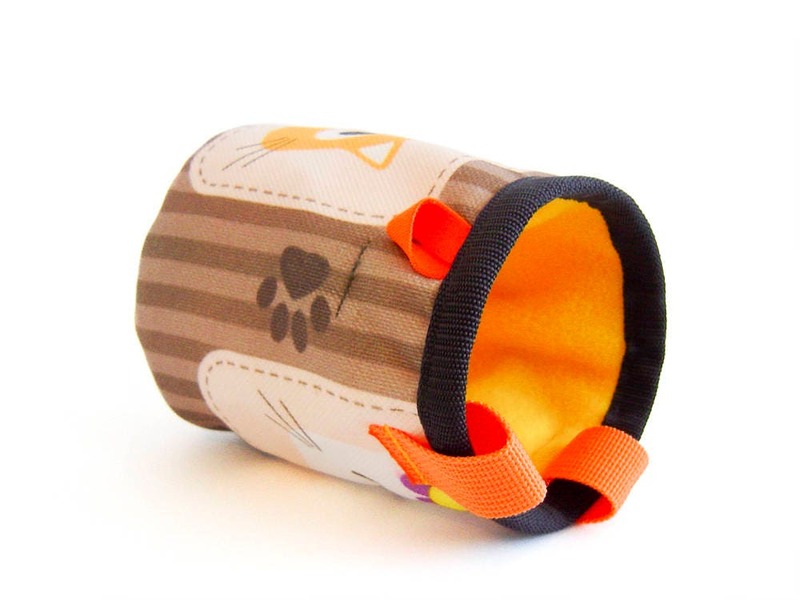 It's so colorful and durable! 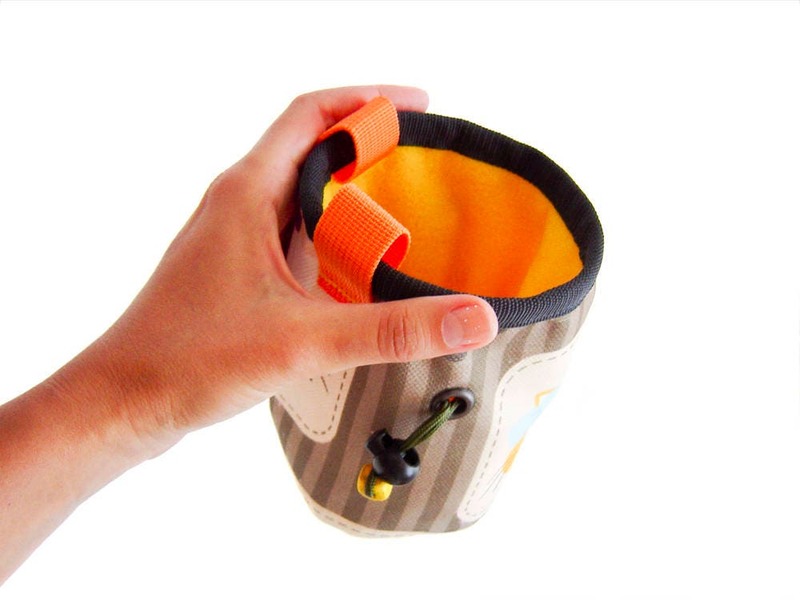 This children's chalk bag is a great gift idea, on their own or in a combination with our custom drawstring bags for a rock climbing shoes.